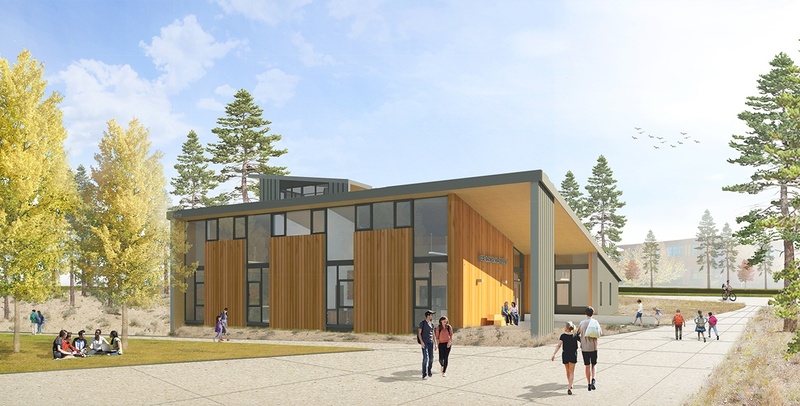 The new building on Oregon State University’s Cascades Campus provides hands-on STEM educational opportunities to students and their teachers. This spacious new location includes lab classrooms, a research laboratory, and a teacher training laboratory. The labs are fully equipped with the latest technology to educate the engineers, mathematicians, and scientists of tomorrow. With safety as well as energy efficiency in mind, two constant-volume fume hoods are served from a roof mounted upblast exhaust fan equipped with a NEMA-rated, high-efficiency motor. The building is conditioned with high-efficiency split system heat pumps that are fully ducted in the spaces. During cool weather, intake air is pre-heated with waste heat from the building’s restrooms, data room, and other exhausted spaces. A solar wall array uses a dark perforated plenum to preheat incoming makeup air that is brought in by the supply fan to the labs.